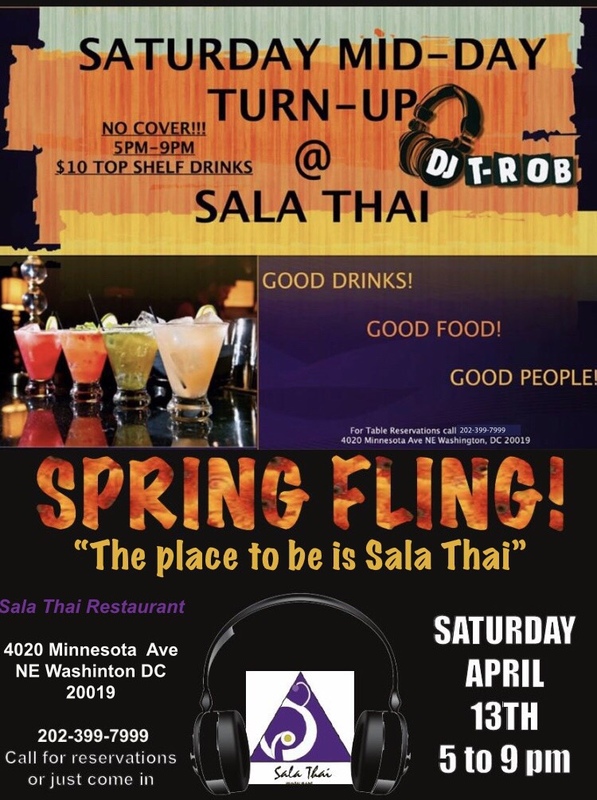 April 9, 2019	In	Sala Thai @ Minnesota Ave. This Saturday April 14 at 5-9 pm. @ SALA THAI Minnesota Ave.